The new 2018 Maruti Suzuki WagonR 7 seater variant will be positioned between Eeco and Ertiga in the company lineup. Hat tip to automotive enthusiast Gaurav Tiwari for sharing the spy shot. 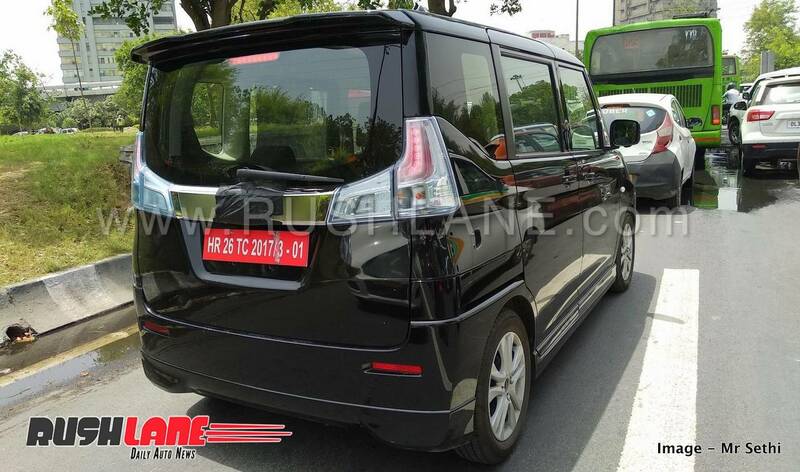 Maruti Suzuki India Limited is testing a new 7 seater version of its WagonR hatchback, which has been launched in Japan as Suzuki Solio. 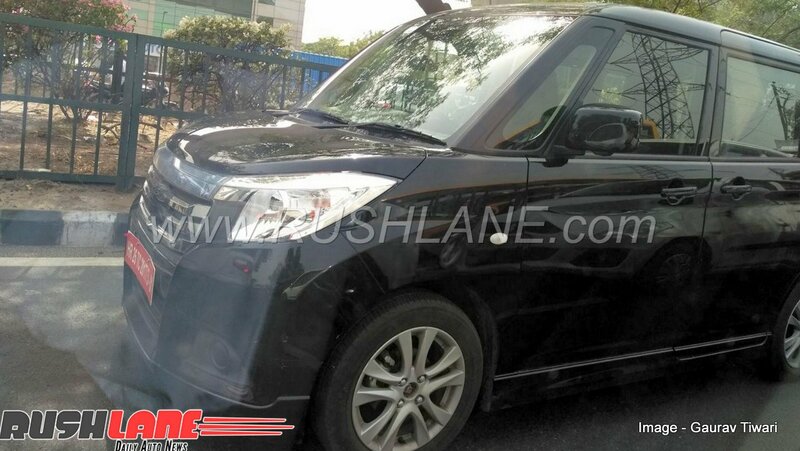 The model has been spied on test in Delhi recently. Built on Maruti Suzuki’s new HEARTECT platform on which the new generation Swift, DZire and Ertiga are also based. This new platform will allow the MPV to be lighter and stronger resulting in more fuel efficiency and better safety. Sporting the same tall boy design, the new WagonR gets larger windows, a new two piece front grille, squared headlamp design and a well defined bumper. It also gets a large air dam, sporty character lines running across its sides and exterior color options of white, red, grey, silver, blue, beige and brown. Interiors will be spacious for upto 7 adults with comfortable seating and a host of infotainment and safety features allowing it to comply with Bharat NCAP crash test norms. On board features include a touchscreen infotainment system, a 2 DIN system with Bluetooth, AUX and USB, auto steering, reverse sensors and keyless entry. It also gets power windows for all four doors, automatic climate control and electrically adjustable ORVMs along with reverse parking camera. Head and leg room will be sufficient in all seats, front and rear, while boot space will also be at a premium. Among its other safety feature will be ABS, EBD, ISOFIX child seat mounts and dual airbags. Speaking about engine options, the current 1 liter petrol engine, powering the WagonR as on date, offers 67 bhp power and 90 Nm torque mated to a 5 speed manual transmission and AMT unit. This engine will be tweaked for added power and performance on the upcoming WagonR while fuel efficiency is pegged at 18-19 kmpl. As the new Maruti Suzuki WagonR enters a budget MPV segment in India where there are not too many players, the 7 seater variant will only have to contend with the Datsun Go+ in its category, or the upcoming budget Renault MPV, which is also on test in India these days.